CANAL front, BOATER'S delight, one of a kind property w/not one, but 2 houses--the Main house (2bd/2ba) & the Guest Cottage/Mother-In-Law suite (1bd/1ba). 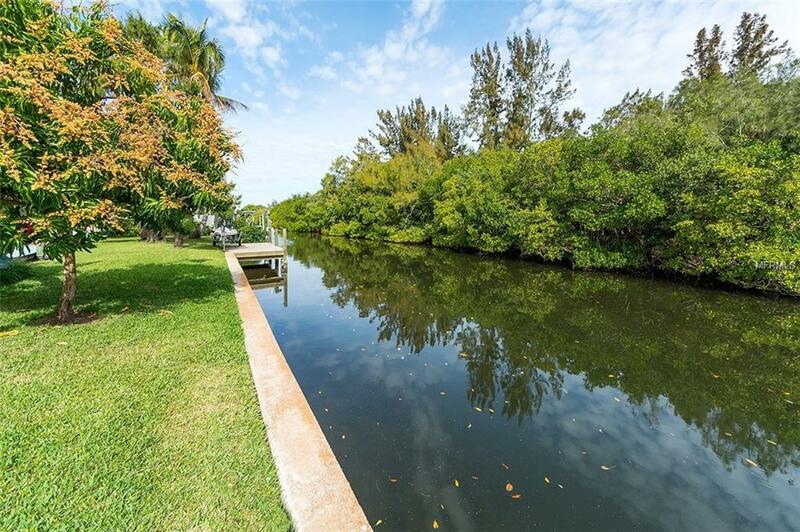 Located in historic Cortez, this well-maintained property sits on a DOUBLE lot w/150' of frontage on a VERY picturesque canal. An RV garage, boat dock, & covered boathouse also included. Lovingly maintained by the original owner, this property has a very special charm. The main home has an open floor plan w/2 bedrooms & 2 baths. The open kitchen has newer appliances. The master bedroom w/en suite bath has a walk-in closet. The house comes equipped w/central vac system. New roof on RV barn in 2016 & whole house in 2002. The large RV garage could also be a workshop, man cave, or more living space. The 1 bed/1 bath detached guest cottage comes furnished and is ideal for rental income, a mother-in-law suite or for guests. The yard has an underground sprinkler system fed by an artesian well & contains delicious mango, coconut, orange, avocado, & sea grape trees. The backyard is your peaceful oasis. Look across the beautiful mangrove-lined canal & see no houses, ever. Fish off your dock & enjoy seeing manatees & birds. The boathouse has a fish-cleaning table w/water & electric. No deed restrictions or HOA fees. There is ample room for a pool. The beach is less than a mile away. You just don't find property like this today. Update, remodel, or tear down & build 1 or 2 new houses-so many options available. Tranquil FL living is calling you. Don't miss this one!